Welcome to Eat & Play Wednesday, where each week Gray Line New York will be highlighting one of our friends who offer discounts with the Eat and Play Card. Today we are taking a look at Radio City Stage Door Tour who offers 20% off with the card. The Radio City Stage Door Tour gives you a behind the scene look of one of the most iconic theaters in NYC, Radio City Music Hall. Located in the heart of Rockefeller Center, tourists get to explore the magnificent Art-Deco Interiors, learn hidden secrets about the legendary stage as well as the preparation taken to get ready for a concert or Radio City Christmas Spectacular and take a look at a celebrity signed guest book. Last but not least, the tour lets you meet a Rockette and lets you know what it takes to become one of the stars of the Radio City Christmas Spectacular. 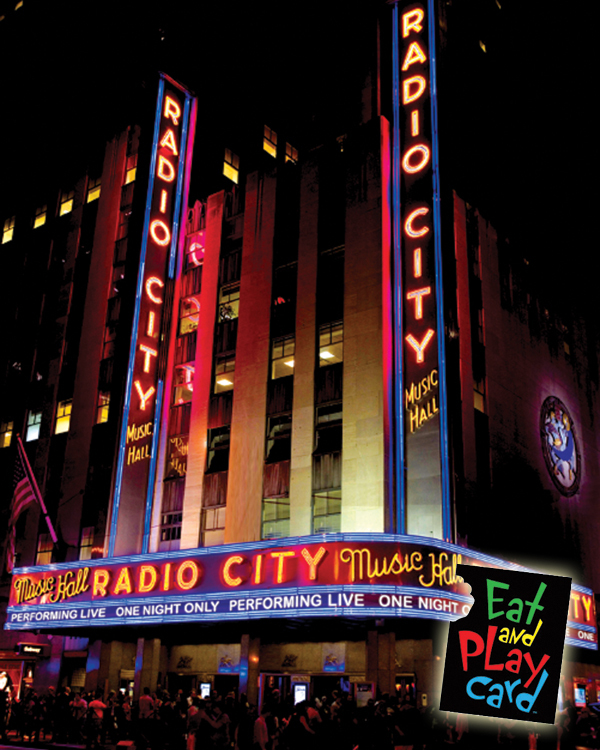 You can purchase your Eat and Play Card online here, or in person at our visitors’ center at 777 8th Avenue.